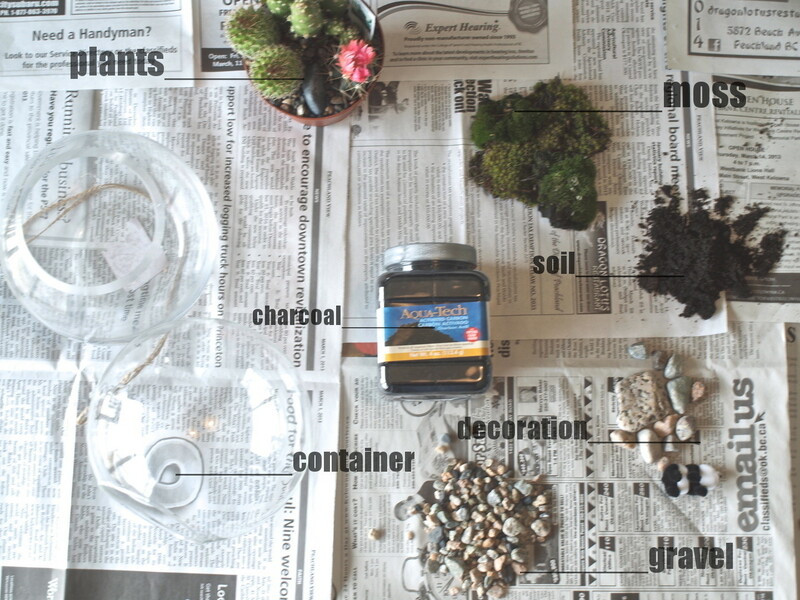 Today I am going to show you how to make a cute little terrarium all by yourself! I wanted to do this on the lowest cost so a couple of things were found outside and may be right in your back yard (or if you take a little walk in the woods like I did). Me and my step dad were able to get the moss and rocks/gravel from scavenging around, we already had a bag of cactus potting soil and 2 glass containers. The potting soil can be easily be found at any gardening centre, and the glass containers were found at the dollar store and Chapters book store (weird). Then the plants and charcoal were found at Walmart, the charcoal is in the aquarium section because it is used for the filter. 7. Throw in a bit of rocks and maybe a panda bear and you're done! I took a few photos today so I shall insert them.... now! Thank you so much for reading, if you're going to make a terrarium please let me know in the comments it would make me very happy knowing that I inspired someone else to bring a little plant life into their home. lauren @ in between idols. This is sooooo cute ! I love it so much ! This is so cool! I want to do one! You're photographs are lovely too. p.s Thankyou for the kind comment on my blog! 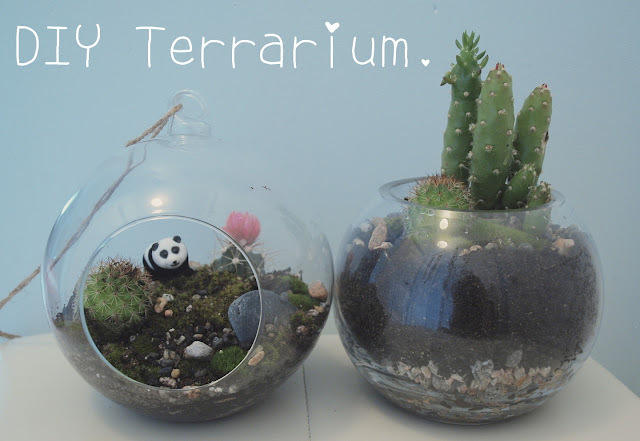 Terrariums are so much fun, yours came out really nice! Wonderful photographs too. Aww these are soo cute! I want to do one! Beautiful photos by the way. You should, it is so fun to do! Love this post! I mean, who doesn't love a terrarium! Thanks for the "how to".